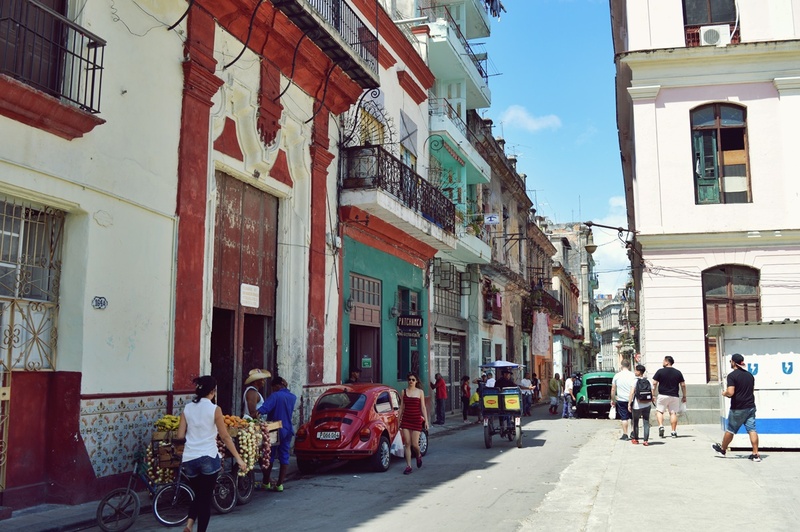 Havana – this is where my three-week backpacking tour through Cuba has started and where it will end. 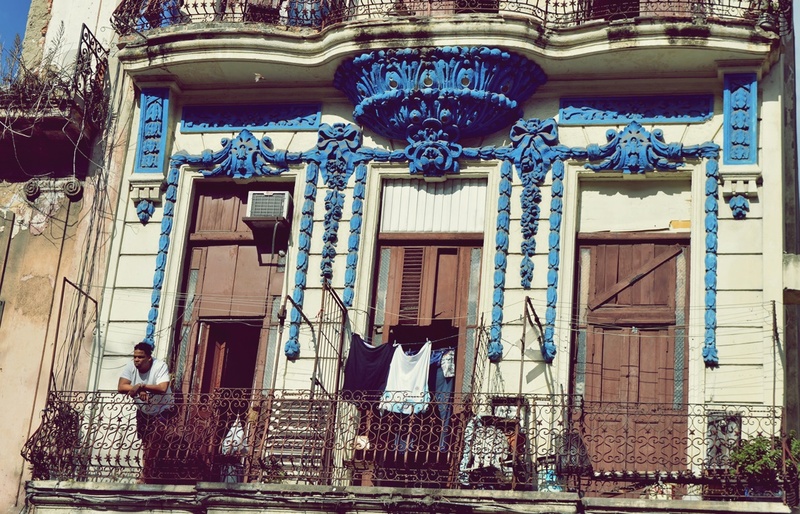 I wanted to experience the real Havana, away from typical tourist traps and the recently renovated Plaza Vieja. 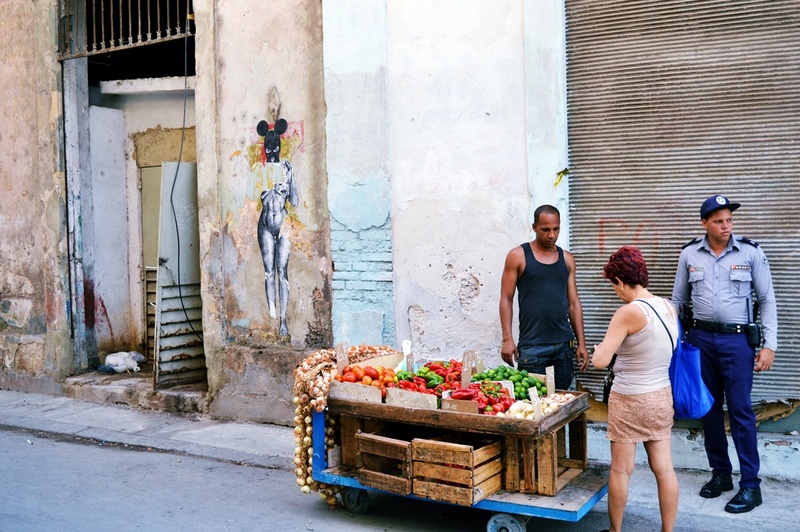 So I took my camera and walked through the streets of Havana for hours – always trying to set the focus on the daily lives of the Cubans. 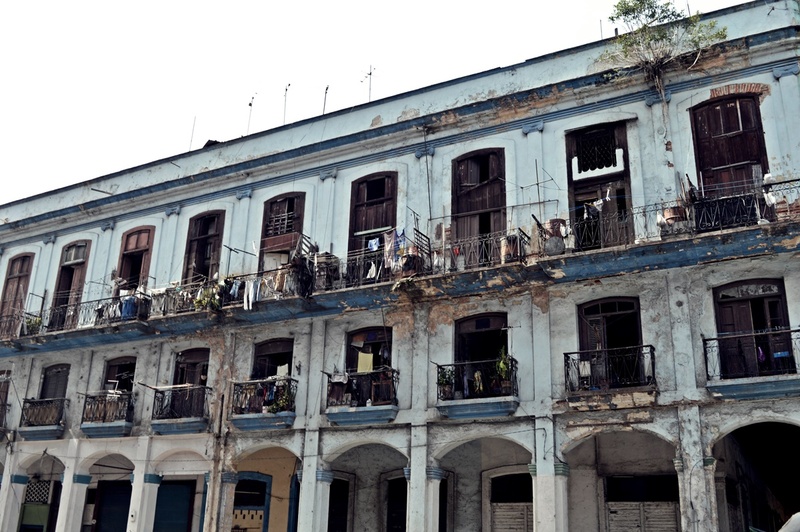 Let me share with you the simple beauty of Havana, of its decaying streets and buildings and get an idea of what daily life in Cuba’s capital looks like. 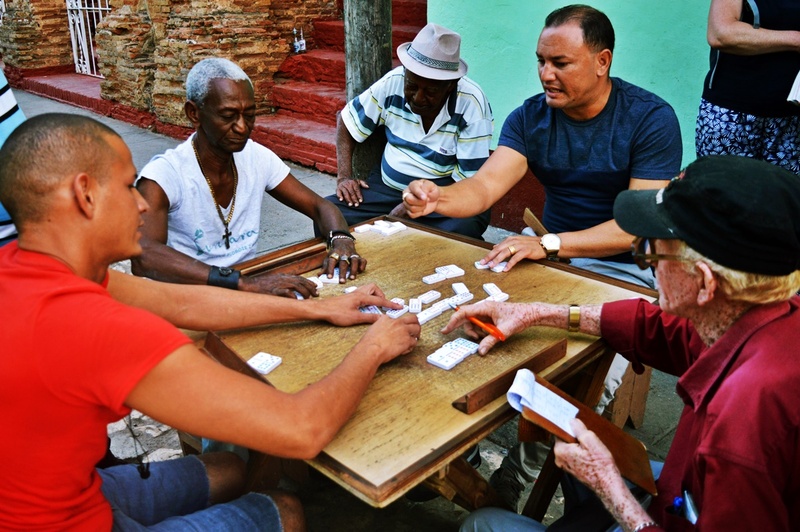 A random street in Havana, a few men are sitting around a table and they are playing dominoes, looking very concentrated and serious. Dominoes?! 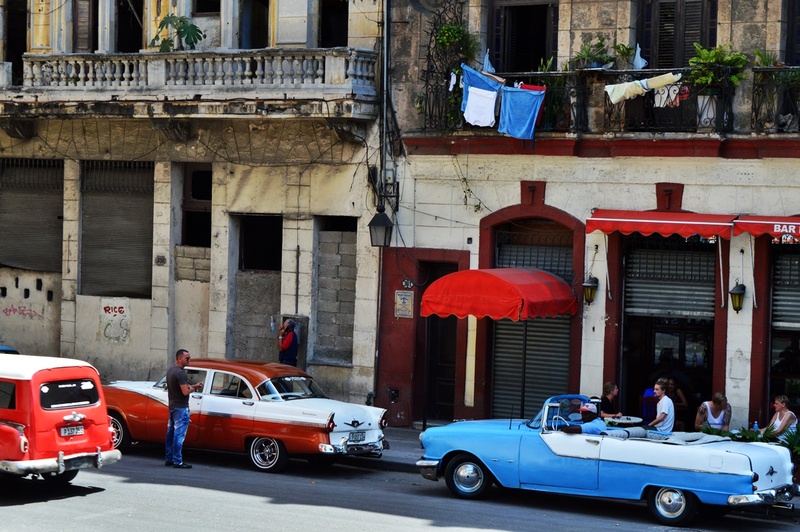 What we might slightly remember as a game of our childhood, could be considered as a real national game in Cuba. People play it in almost every corner of the city, preferably on cool summer evenings. 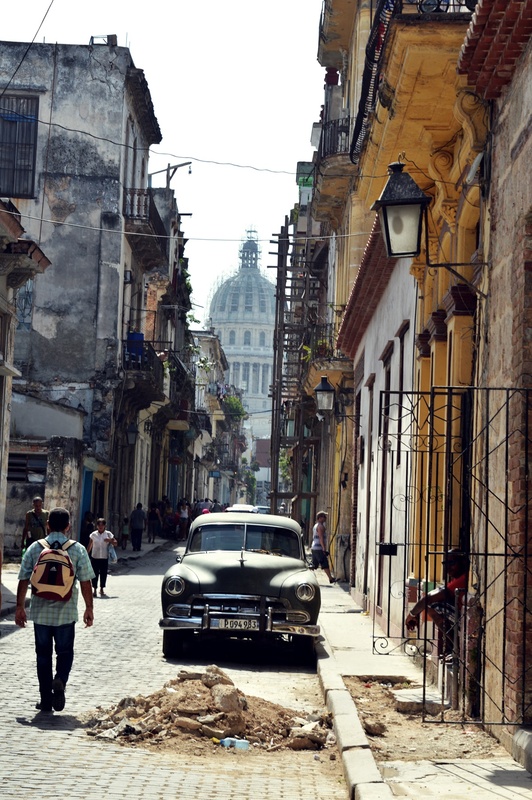 The faces of Cuba’s revolutionary heroes Che Guevara, Fidel and Raúl Castro and Camilo Cienfuegos are omnipresent in Cuba. So are countless handwritten political slogans on house walls. 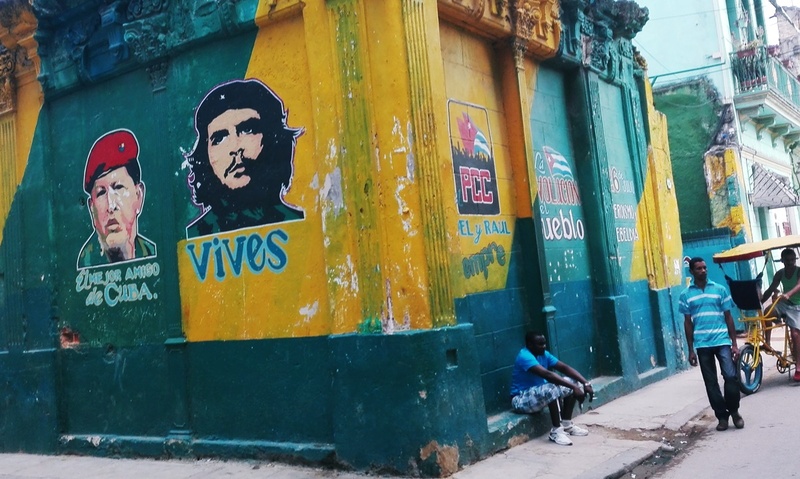 Mostly, you can read slogans like “Venceremos” (“We Shall Triumph”), “Patria o muerte” (“Fatherland or Death”) and “¡Hasta la victoria siempre!” (“Until Victory, Always”). 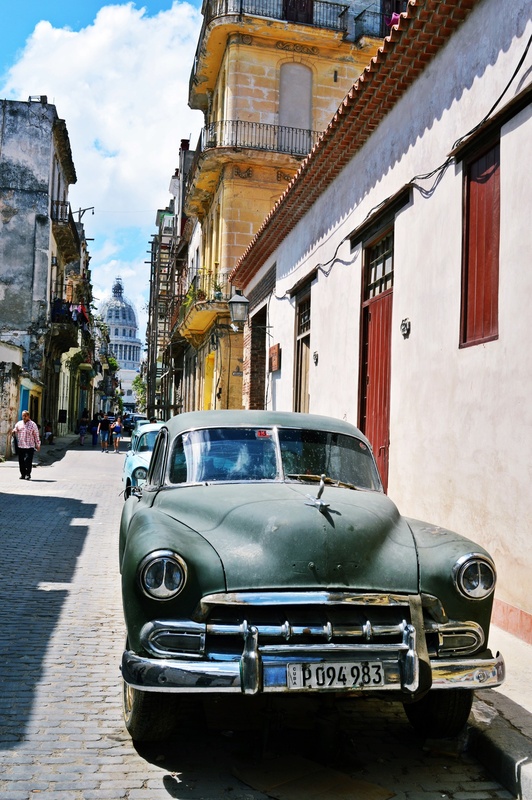 While driving around the country in taxis, the drivers constantly played propaganda songs like “Hasta Siempre, Comandante”, which recounts the key moments of the Cuban Revolution and Che Guevara’s role as a revolutionary commander. 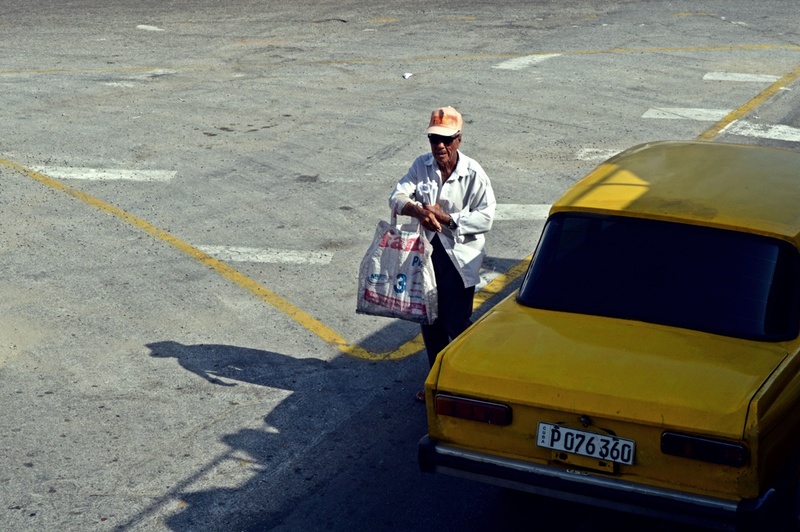 Cuba is a country where taxi drivers earn more money than doctors – I’ve met a Cuban man who told me that his pregnant wife who is working as a cardiologist in a hospital in Havana, earns US$35 a month. 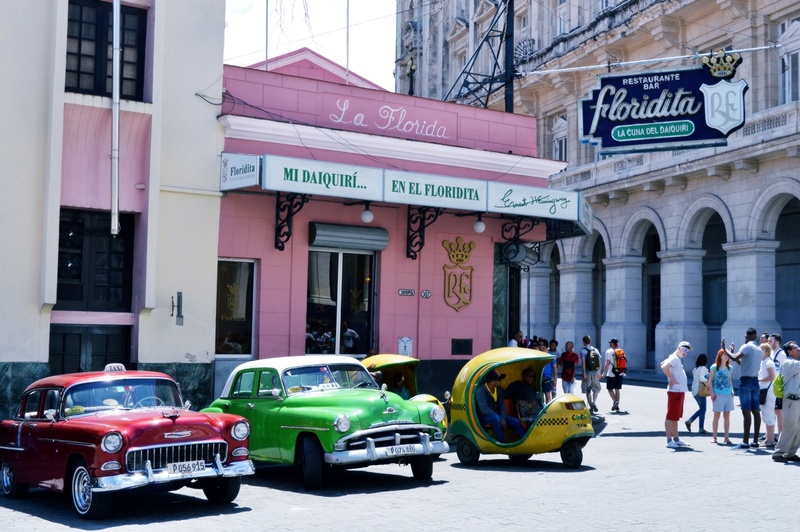 Lots of Cubans see tourism as a big opportunity to earn a little bit of extra money: Some Cubans offer one or more rooms in their houses to tourists for approximately US$25 or, if they own a car, they become taxi drivers. 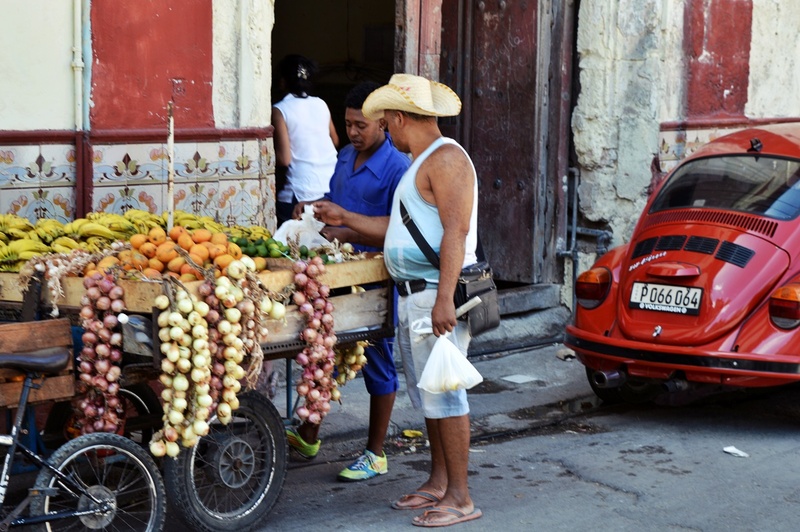 Thus Cubans working in the tourism industry make more money a day than most Cubans in a whole month. 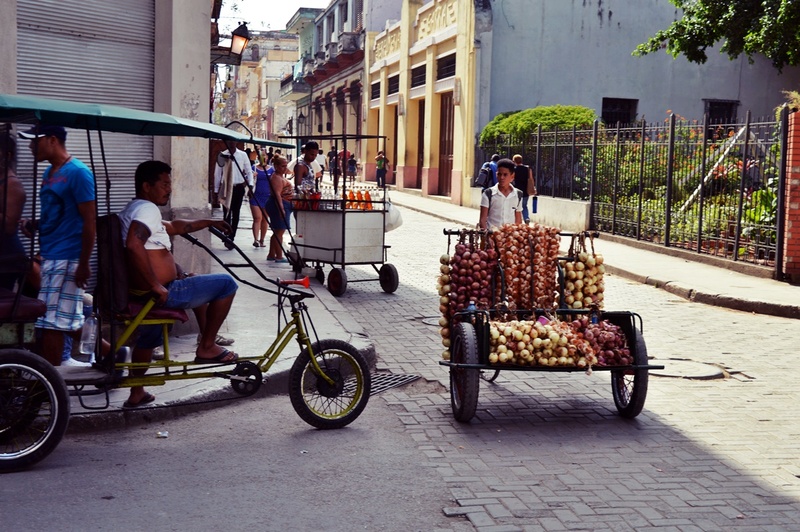 A bici-taxi driver and a street vendor selling onions and garlic in Old Havana. 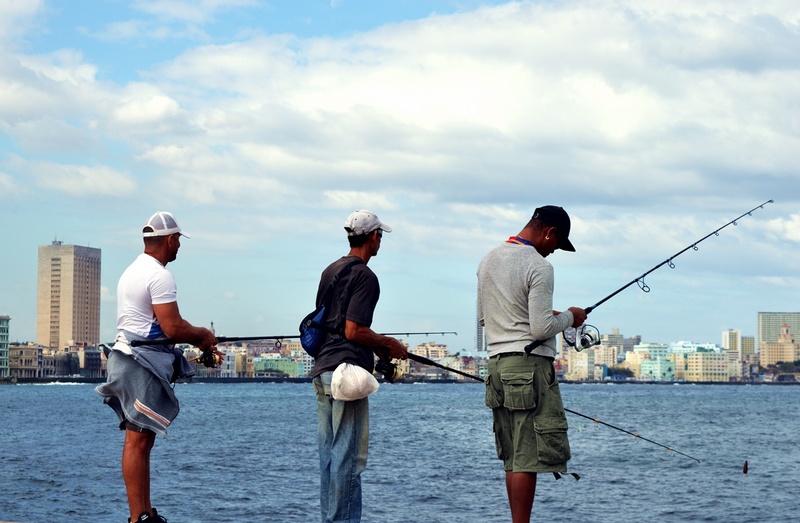 Fishermen at the Malecón – Havana’s famous esplanade. 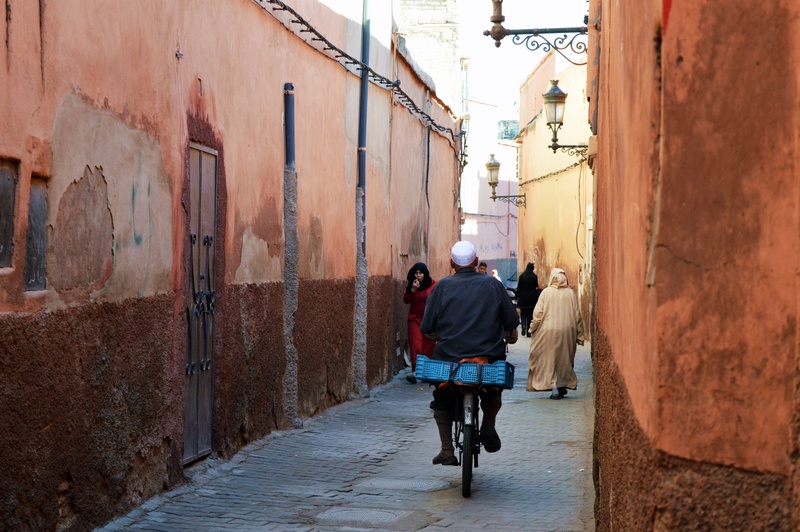 An old man is walking from car to car, trying to sell roasted nuts wrapped in paper. 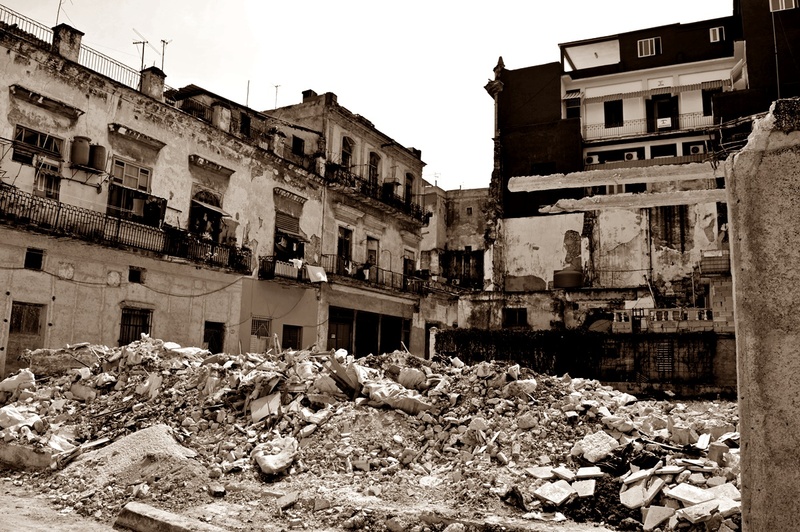 Further away from Plaza Vieja, the city of Havana is characterized by decaying buildings, big wholes in the streets and large piles of debris -just because there isn’t enough money for renovations. 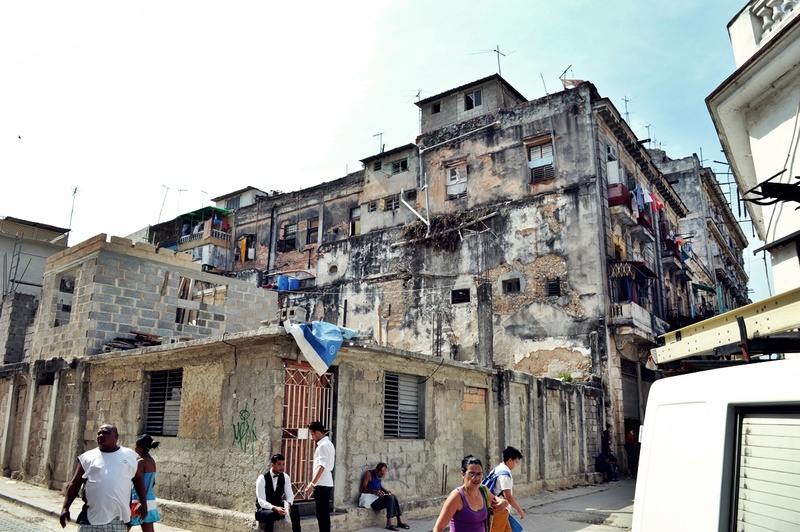 Due to a shortage of decent housing, several generations are often living together under one roof. 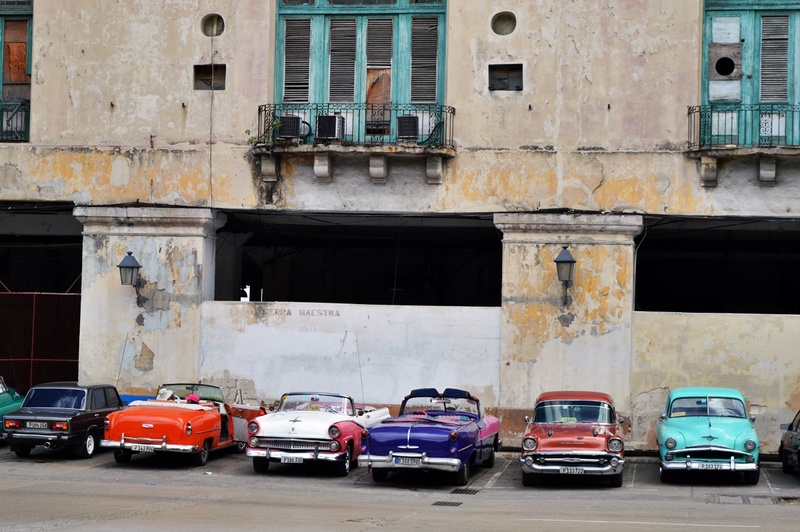 Chevrolet, Chrysler, Ford, Cadillac – old US cars are in every corner of the city. 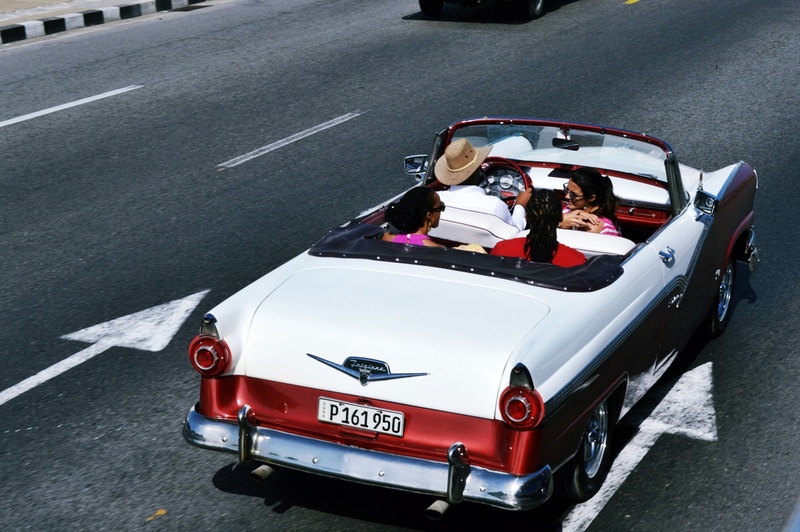 About 100,000 cars made between 1945 and 1958 are still driving on Cuba’s adventurous streets. The smell of diesel and exhaust fumes is included! 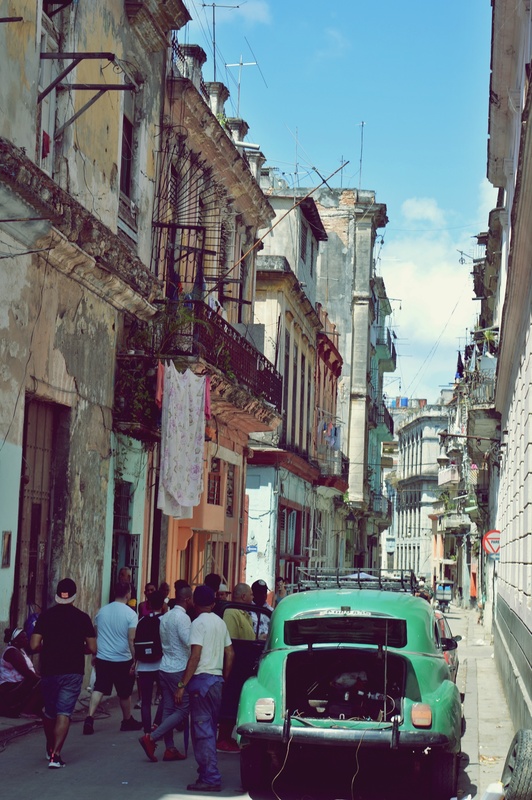 In her book Havana Real, Cuban blogger Yoani Sánchez describes the daily life under the Castro regime from her personal point of view and openly questions the system. She writes about the black market, the art of repairing ancient appliances, or the chronic hunger for example. 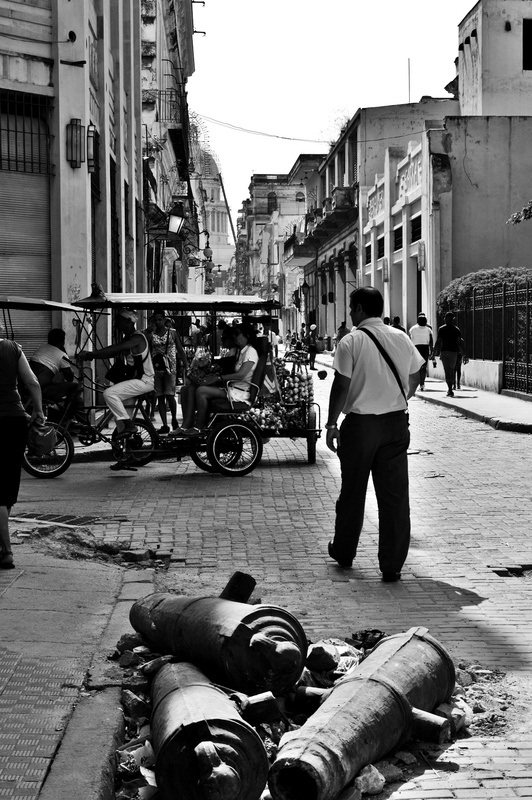 A must-read book for everyone who is interested in Cuba, its complex history and the daily struggles of living under a propaganda machine.